Huckabee's virtual Genocide: erases Palestinians from West Bank, declares it "Israel"
US presidential contender Mike Huckabee said during a visit to Jerusalem, on Wednesday, that he did not consider the West Bank occupied by Israel. The Republican and Baptist minister, a regular visitor to Israel, attended a fundraiser for his campaign on Tuesday at an illegal Jewish settlement in the occupied Palestinian territory, according to AFP. Israeli settlements in the West Bank are viewed as illegal under international law and are major stumbling blocks in peace efforts as they prevent a contiguous Palestinian state. 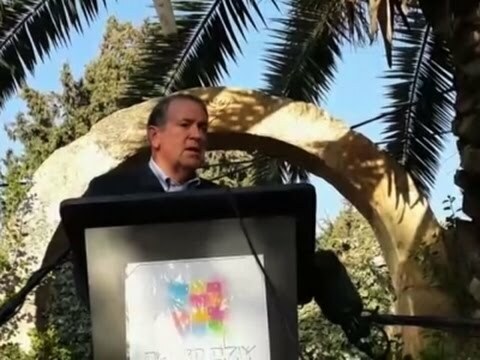 Huckabee said he had no qualms about holding the fundraiser at Shiloh in the West Bank, which Israel seized in the 1967 Six-Day War in a move never recognized by the international community. The ex-governor of the southern state of Arkansas who has also hosted a Fox News channel program said he considered the Palestinian territory part of Israel. He referred to the West Bank as Judaea and Samaria, the Biblical kingdoms which Israel also invokes to refer to the territory. Such history gave the so-called “Jewish state” a strong connection to the land, Huckabee argued. Asked about what his plan would be for Palestinians living in the West Bank, he said it would have to be negotiated between the two sides. Around 2.8 million Palestinians live in the occupied West Bank along with some 380,000 Israeli settlers. The figures do not include Israeli-annexed East Jerusalem. Huckabee also said he did not regret his comments warning that President Barack Obama was marching the Israelis to the “door of the oven” with the July 14 nuclear deal struck by Iran and world powers. Huckabee met with Israeli Prime Minister Benjamin Netanyahu during his visit. Israel has occupied the West Bank, East Jerusalem, and the Syrian Golan Heights since 1967, in violation of international law.